Eucalyptus oil is one of the bestselling essential oils in the world. It’s known for its fresh and pungent smell, as well as its therapeutic effects. Eucalyptus leave has been considered a traditional medicine in the East Asia and positioned to have antiviral and antibacterial properties. Right now, Eucalyptus Oil is being used in a lot of industrial fields such as cosmetics, personal care, perfumery and aromatherapy. 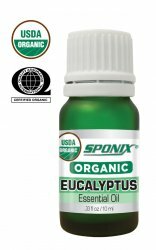 Sponix Eucalyptus Oil is 100% pure and natural. They are extracted from Eucalyptus leaves and the tree itself through pure steam distillation. We only use the finest ingredients in the market to produce high quality oils.